Two hallmarks of Gutierrez's recipes are their ease of preparation and the accessibility of their ingredients. . . . Buy it today: I recommend it without hesitation. You're going to love it. This new cookbook explores the evolution of [Gutierrez's] Southern style as well as the influence of her Latin heritage. Its recipes represent an exchange of Southern and Latin cultural traditions, and the combination of [Gutierrez's] identities as an American and a Guatemalan. Gutierrez provides home cooks with a good introduction to the new Southern-Latino culinary movement. A great culinary merger proposition. It's a fascinating read, a cultural and culinary resource. It's almost as if my palate had been asleep and is only now waking up. Hello, New Southern-Latino cuisine. Pleasure to meet you! I think this could be the start of a beautiful friendship. An exceptional new collection of recipes blending the cuisines of more than twenty Latin countries with the beloved food of the American South. Gutierrez's natural talent as a teacher shines through in this book. The gift of this book is the introduction of flavor combinations that you may never have imagined. Unlike many Southern recipe collections that overlap somewhat, The New Southern-Latino Table fills a unique niche. This is the perfect gift for cooks who already have a large collection of cookbooks. I know of nothing else quite like it. [A] user-friendly book . . . . her experience as a cooking teacher shows in the clearly written recipes.--Debbie Moose A wonderful cookbook and a fact-filled guide to the fusion of Southern and Latino cooking. . . . This skillful foray into the cuisine of the Americas. . . . is a tremendously valuable addition to the bookshelves of both serious and casual cooks. The Latino palate and the Southern palate are two distinct tastes from seemingly distinct worlds. However, chef Sandra Gutierrez has brought them together in her unique cookbook. Gutierrez shows how compatible Southern and Latin American flavors can be. Sandra Gutierrez [is] the Queen of all Southern Latino food. The author embraces the flavors of Latin America and the American South. For the food-obsessed, snuggling up to The New Southern-Latino Table cookbook is akin to a new love affair. It comes with all the warmth of tender familiarity while simultaneously sparking an impassioned interest in what is more compatible than imagined. No fritter fantasia would be complete without a Latino representative. Thank goodness, then, for Sandra A. Gutierrez's Crab Croquetas with Latin Tartar Sauce. Fluffed up with bechamel sauce, the croquettes are a multistep affair, but worth every mouthful. Few authors are so thoroughly integrated into a cookbook. . . . Her personality is palpable throughout. Using the book is almost like having Gutierrez beside you in your kitchen. A beautiful marriage of cultures. [Gutierrez's] approach to cooking reflects the fusion of both cultures. The perfect author for a subject long-ignored and long-overdue. . . . A teaching book-- a master class. A remarkably well-thought out book where the author has shown an in-depth and reaching knowledge of ingredients and culture. . . .It will change the way you cook. This cookbook is a must. . . . It's simply delicious. A thorough study of a genre many only encounter at food trucks. Ms. Gutierrez's recipes make it possible for readers to experience Latin American street food that is authentic in every respect save one: It is reliably safe and hygienic. This first pan-Latin American street food cookbook features fascinating culinary history, personal stories and how-to tips. Gutierrez, quien se crio en Guatemala, es una autoridad en comida latinoamericana... Su libro ha sido nombrado uno de los 25 libros de cocina del año por el New York Times. [Gutierrez] celebrates Latin-American food culture with fascinating culinary history lessons and fun personal stories. She also presents succulent and unexpected dishes sure to become favorites. . . . [The book] offers distinctive, vibrant, and portable dishes for everyone. This is not shy food -- no timid flavors here. . . . There are tips and techniques that help you along with unfamiliar ingredients or tricky recipes and plenty of good information along the way. A lovely survey of the best of Latin American street fare, perfect for any ethnic culinary collection. Be prepared to embark on a journey that will take your taste buds to Mexico, Guatemala, Panama and beyond. Latin American Street Food is a great resource for anyone wanting to celebrate Hispanic Heritage Month. The book is packed with surprises . . . [and] many appealing recipes, a great adventure. This is a wonderfully different cookbook, with expected recipes like guava and cream cheese pastries and Cuban sandwiches along with street foods that are less familiar to most Americans, such as Brazilian avocado ice cream, Peruvian fried squid ceviche, Salvadoran pupusas and Guatemalan Christmas tamales. [A] taste of street food culture. A beautiful book. . . . The recipes are well-written and, like all of Sandra's work, successful in your kitchen. . . . If you're looking for a cookbook to perk up your kitchen, give this one a read. Latin America has a rich and diverse tradition of street food, as evidenced by the latest book by Sandra Gutierrez. Offers a glimpse of the variety of food that ended up being sold on streets from Lima, Peru, to Mexico City. Sandra Gutierrez takes the reader and home cook on a culinary road trip through 20 Latin American countries and introduces us to the best of each country's street food in 150 fun, authentic recipes. Sandra is full of great information and her books are a delight to read. There is an undeniable element of fun that Gutierrez captures. . . . Authentic, yet approachable, these recipes will spark your kitchen and your table. Sandra Gutierrez's new cookbook is hip and delicious, evocative and practical, groundbreaking and wise. Gutierrez guides us though marketplaces, street corners, plazas, and home kitchens, documenting traditions, celebrating life, and explaining cultural distinctions along the way. She illuminates a vast category of cooking, spanning countries and centuries, transcending political boundaries to place us on the street, in the vibrant market stalls, sampling fresh, sizzling goodies from rolling carts and portable grills. Home cooks will find the recipes clear and accessible, an irresistible invitation from Sandra Gutierrez to bring the sparkling flavors of Latin street food into their kitchens and onto their tables. Contemporary, hip, and full of recipes for less-recognized but deeply loved dishes, Latin American Street Food samples the flavor and range of street foods while guiding readers of varying ages and skill sets. In Latin America there is a tenuous distinction between street food and the little dishes we eat as savory pick-me-ups with coffee or drinks at casual restaurants or at home. Tamales are sold door to door by street vendors, but they can also be the centerpiece of the Christmas Eve dinner. A fluid understanding of this central part of Latin cooking makes Sandra A. Gutierrez's Latin American Street Food a welcome addition to any cook's library. The recipes in this colorful, accessible, and enthusiastic cookbook can be a part of any formal or casual meal. They are delightful, easy to make, and will bring the vibrancy and excitement of the Latin street food scene to your table. Did you know the Triangle is home to one of the foremost experts on Latin cuisine in the country? Cary author Sandra Gutierrez’s newest cookbook, Empanadas: The Hand-Held Pies of Latin America is a graphic primer on the history and techniques of empanadas. Including recipes like Chorizo and Potato Pies with Tomatillo Salsa and Fried Cassava and Cheese Turnovers, this book will delight the adventurous foodie on your list. Good things come in small packages, as Sandra Gutierrez shows in her appetite-rousing book. It is stuffed with a huge range of little pies, from the very authentic to cutting edge. I learned something about Latino culture and cooking on virtually every page. Leafing through Empanadas I was torn between the impulse to dash into the kitchen and start making dough and wanting to sit down and read every word to learn about the regional differences, cultural traditions, and time-tested techniques that crowd every page of this wonderful book. Sandra Gutierrez, my go-to guide for all things culinary and Latin American, makes a strong case for this cool comfort food in Empanadas . . . Who knew that they could be hot or cold, big or little, sweet or savory, spicy or mild, plain or fancy, soft or crisp, meaty or vegetarian, even gluten-free? Sandra Gutierrez, that's who, and you won't find a more personable or passionate guide to lead you through the delicious world of empanadas. Sandra Gutierrez’s approach to this wondrous world of hand-held pies is nothing short of brilliant. The techniques and attention to detail are a testimony to her teaching style and the recipes are drool-worthy. Groundbreaking! Best Cookbooks 2015 - A simple but charming elaboration on why these Appalachian and ethnic staples are re-seizing the culinary world in recent years. Accomplished cookbook writer Sandra Gutierrez provides insight into a staple food cherished not only in the American South but also around the world. She helps cooks understand the many cultures that cook with beans and peas. A valuable entry in the Savor the South cookbook collection. Sandra Gutierrez's delightful and authoritative book puts beans and peas right at the center of good cooking, be it traditional or up to the culinary minute. Something delicious for everyone who craves real food. 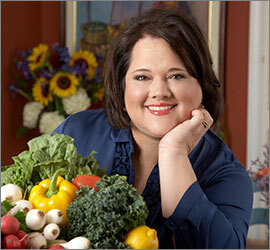 Conveying the passion southerners feel for these gems of the garden, Sandra Gutierrez delivers a glorious selection of recipes to tempt us all. She has beautifully addressed both the magnitude and mysteries of her subject, and the book will find an eager audience among southern food enthusiasts old and new and also among readers outside the region who are discovering the diversity of traditional peas and beans and looking for new, delicious ways to use them. I am delighted to have this book in my kitchen so I can join in the fun. Disclosure: I am a participant in the Amazon Associates program. This is an advertising program designed to provide a means for sites to earn commissions by linking to Amazon.com when users click on book links to that site. There is no additional cost to the user and no personal data is transmitted nor stored.